31 Plays in 31 Days: Year 6! 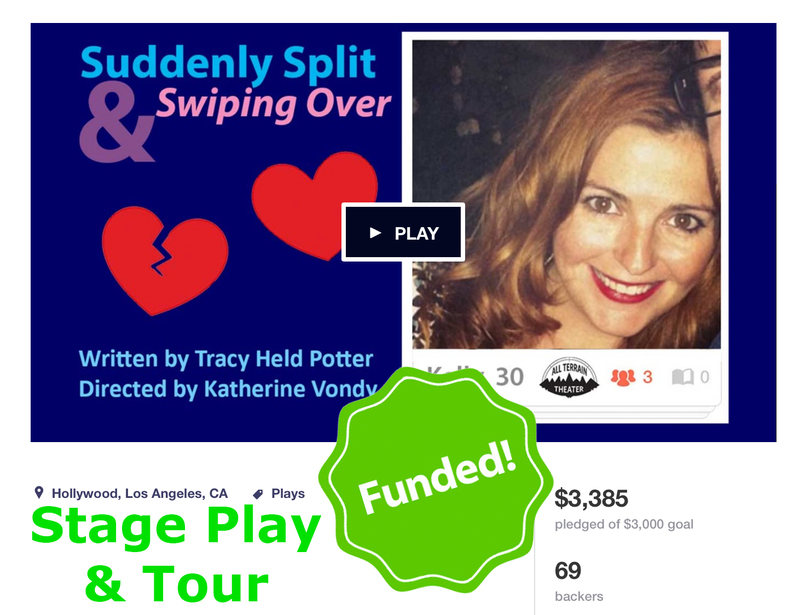 I’m delighted to report that the 31 Plays in 31 Days Project that I co-founded with Rachel Bublitz and that I’m running this year with Topher Cusumano continues to be a success, helping writers all over the world push themselves to generate 31 new plays in the month of August. To date, we have received well over 700 scripts for this month alone! We’re about to wrap up for this year, but we’ll be back in August 2018, so save the month. 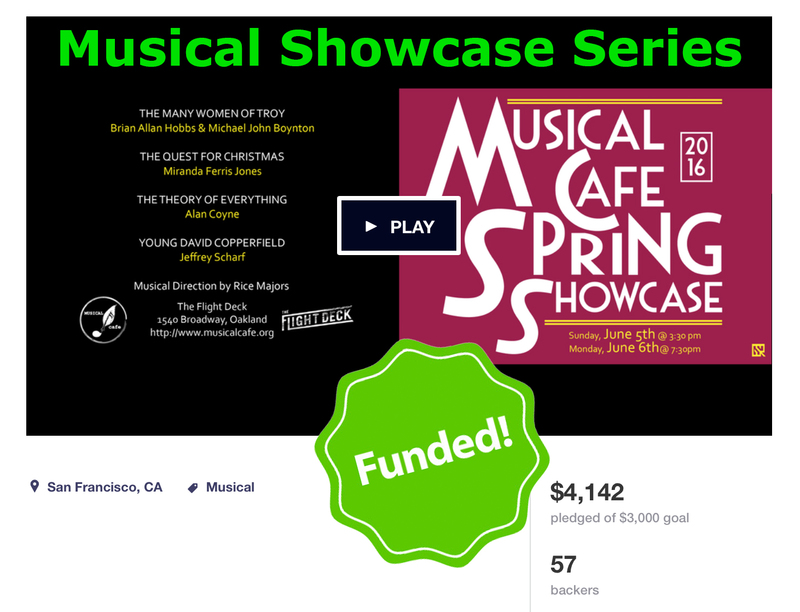 Do you need to raise money for your theater or film project, but feel intimidated by crowdfunding? Learn the essentials of how to make sure your campaign is fully funded, so you raise what you need the first time. 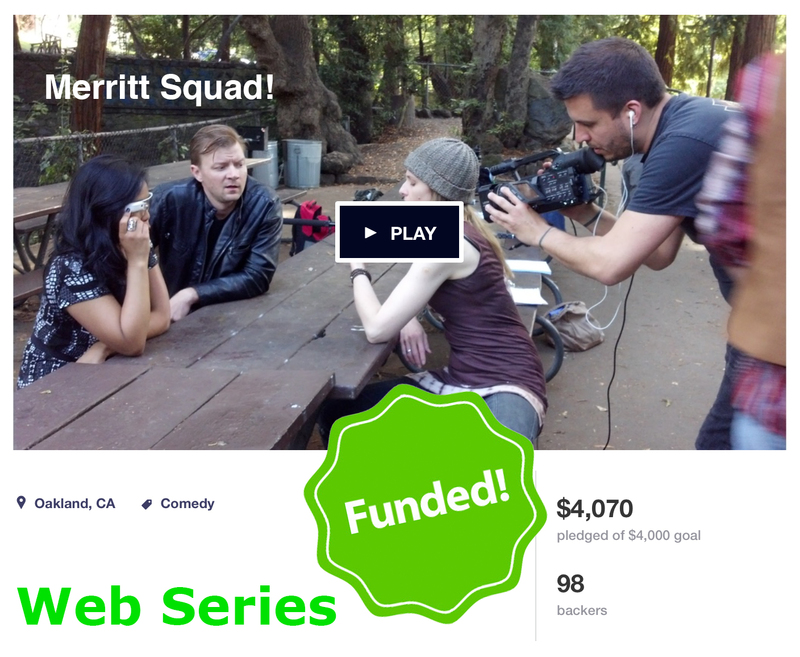 At this workshop, youll learn the fundamentals of setting up and running a successful crowdfunding campaign with an emphasis on using Kickstarter. Well cover everything from fundraising goals, timelines, rewards, how to reach potential donors most effectively, and how to utilize the all-or-nothing approach to incentivize you and your supporters to reach your goals. If youre nervous about asking people for money or skeptical that you can make a crowdfunding campaign work, this workshop will help tackle those obstacles. Every campaign takes time, work, and a willingness to push past your comfort zone. 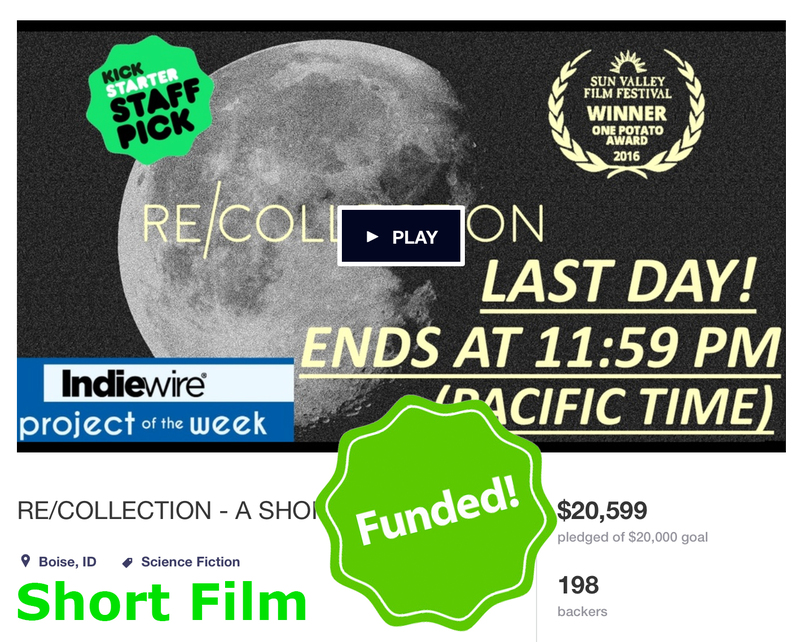 If youre ready to take these steps to fund your project, then this workshop will help. Running a successful crowdfunding campaign is more than just a way to raise money: its a way to build an audience and a community for your work. Well make sure your campaign is true to your process as an artist and to your work. Participants who have had prior crowdfunding experience in the past will have an opportunity to submit their past projects for critique. For more information and to sign up, visit the registration page. Had the privilege of making this short with Tony Cirimele, Norman Gee, and Farah Dinga. This short play was originally produced by the San Francisco Playwrights Foundation for the 2016 FlashPlays Festival. I just don’t get why he thinks it’s okay to touch people that way. Right? Like it’s an office, keep your hands to yourself, Dude. Oh! We’ve got to go. It was great to see you! Yeah! Let’s do this again—sooner! No hug? Come over here! Then you can have a treat in the car. 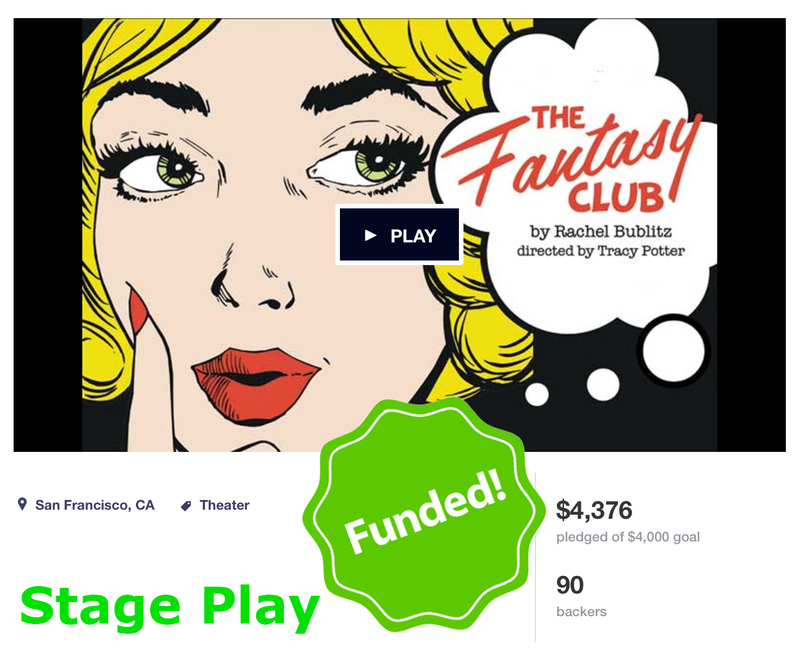 Honored that my short play “How Touching” about bodily autonomy was included in the SF Playwright Foundation’s FlashPlays festival in San Francisco. “Election Day – The Musical” is up! Although I’m posting this here a bit late, I’m delighted to have had the opportunity to collaborate with actor and composer Theresa Stroll to make this nonpartisan voting rights musical. 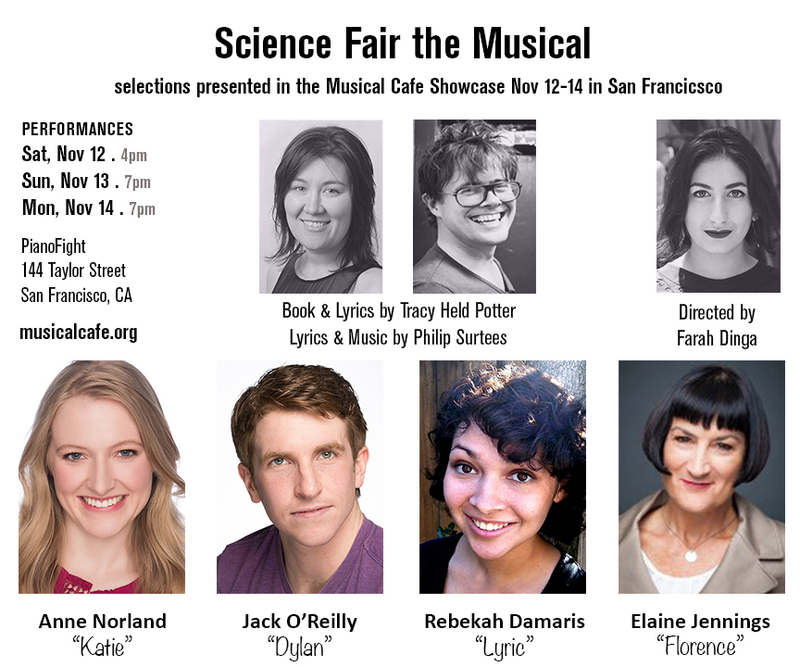 Introducing our fantastic cast for the Musical Cafe Showcase production of Science Fair the Musical! The screenplay for Science Fair the Musical is currently available for film industry professionals at The Black List. On Sunday, October 16th, I will be moderating the first panel for Play Cafe’s How to Get Your Work Produced workshop at The Bakery at the Berkeley Rep School of Theatre. Join us for Play Cafes popular workshop panel How to Get Your Work Produced featuring panel discussions with prominent and successful writers, artistic directors, and composers. Participants are welcome to attend as many or as few sessions as they wish. For $10, we will offer an optional dinner item from a local eatery to be delivered during the meal break. Evening Networking Session, 6:00-8:00: Meet Your Colleagues and Potential Collaborators. Bring a quick pitch! Looking for a playwright? A composer? Lyrics? Incidental music for your play? Early registrants will have the opportunity to sign up for time to sing a song, play a tune on the piano, read from a play or lyric, or just introduce yourself and your current project to the community. Play Cafe members use code cafe1016 for $5 discount. To join Play Cafe, visit http://www.playcafe.org/memberships. 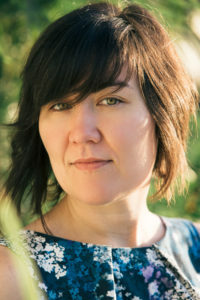 Play Cafe is a nonprofit playwrights group dedicated to supporting Bay Area writers with monthly Scene Nights to develop works-in-progress and by hosting special events.